MOSCOW, September 18. /TASS/. Russia’s Il-20 military aircraft with 14 servicemen on board disappeared over the Mediterranean Sea, an official with Russia’s Defense Ministry told reporters on Tuesday. 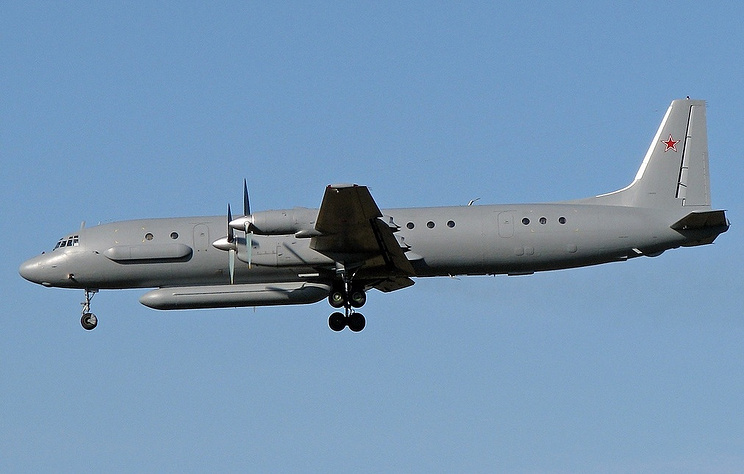 "On September 17, at about 11:00 pm Moscow time, the connection with the crew of the Russian Il-20 aircraft was lost over the Mediterranean Sea when the plane was returning to the airbase of Khmeimim, 35 kilometers from the coast of Syria," the official said. The ministry specified that "the mark of Il-20 went off the radars during the attack of four Israeli F-16 aircraft on Syrian targets in the province of Latakia." The official also said that there were 14 servicemen on board and their fate is unknown. The command of Russia’s air base at Hmeymim launched a search and rescue operation.